This short book won an award for memoir writing. I learned about it through AARP magazine, one of the sponsors of the award. It’s the story of a man hired to work as a cook for inmates at the Montana State Prison in Deer Lodge. The book gives a different perspective on prison life. The author paints a picture of the drab environs of the prison contrasted by the vibrancy of life on the outside. At times, it’s easy to draw a correlation to The Shawshank Redemption in the way the author portrays the inmates. As the author grows more comfortable working among the prison population, he oscillates from seeing them as normal people who just made some wrong decisions to men he feels deserve all the bad that has come their way. The story covers a one year period in 1973. At times, the prison comes across as an acceptable place to be incarcerated. 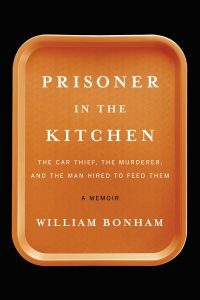 But by the end of that year, the author realizes that he is affected by the despair and realities of prison life. When he discovers the details of the specific crimes of some of the inmates, he struggles with his conflicting opinions about them. He ultimately decides that he wants nothing to do with the inmates or the prison. You can pick up the Kindle version for just $3.99.